Online shoppers are always after the profitable deals and hence prefer buying from the websites that offer discount or Cash on Delivery. In fact, the Cash on Delivery is the most lucrative feature that any website can offer to the buyers as most people prefer paying once the delivery is made. SOAP & MTSTRING should be enabled on the server and Blue Dart key must be valid. Blue Dart – Premium Shipping Integration Plugin for WooCommerce allows eCommerce website owners to facilitate customers to check Cash on Delivery option before they place an order . Shoppers can check COD in their region and for the product they are planning to purchase. With this plugin on website , admin can easily single/multiple manifest and single/multiple AWB shipment for order processing. This plugin allows your website visitors to check the availability of Cash on Delivery in their particular region, depending upon their zip code . 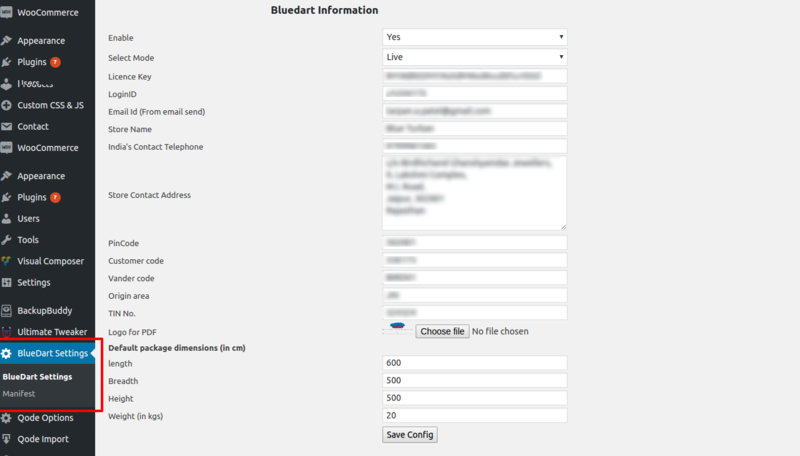 Blue Dart – Premium Shipping Integration Plugin for WooCommerce is a great solution to make online buyers feel comfortable by allowing them to check COD option in their region and for their product. Cash on Delivery Check at Frontend Customers can check Cash on Delivery availability at the frontend at product page by simply providing zip code of the product delivery location. Generate Single or Multiple AWB Shipment The plugin allows website owners to select the single or multiple order in the store to generate AWB numbers all at once. 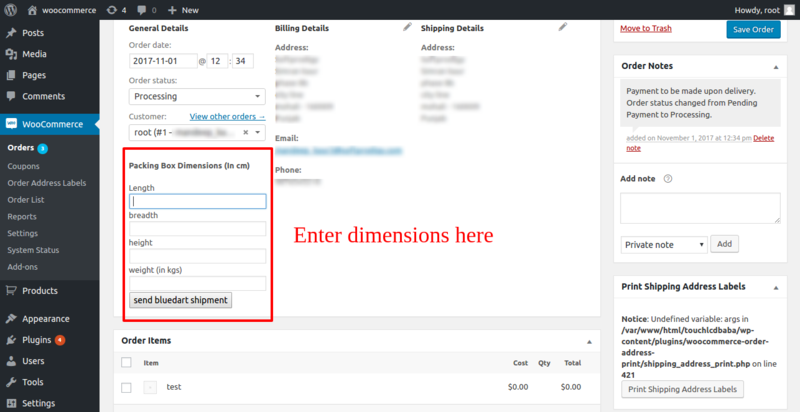 Generate Multiple Manifest Website owners can easily generate one or multiple manifests using a filter on the WooCommerce website for better selling experience. Generate & Print Multiple Shipping Label Blue Dart – Premium Shipping Integration Plugin for WooCommerce allows website owners to generate and print multiple shipping labels at once and easily inform Blue Dart about customer and product details.